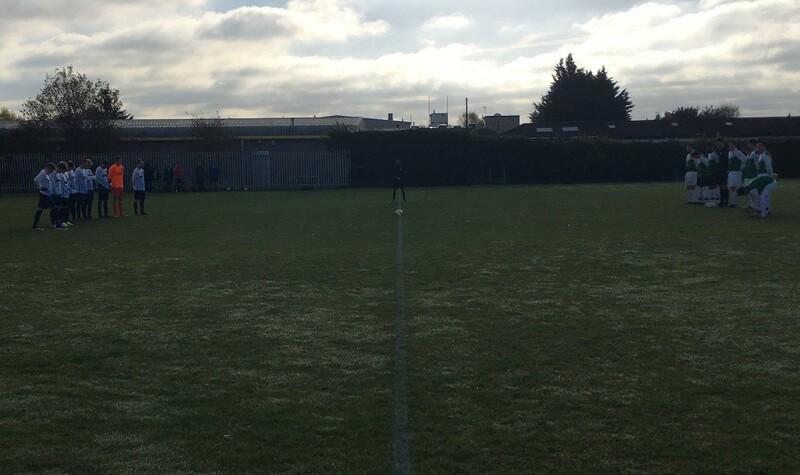 Premier Division side Flanders avoided a shock in the Corinthian Cup on Sunday as Division One’s St Augustines held them to a 2-2 draw in East Ham to force a penalty shootout. Matt Hector and Shane Campbell were the Flanders scorers with Kyran Allen and Thomas Neil levelling before Flanders eventually prevailed 5-4 in the shootout to progress on and now face Liberty Stars. In the day’s other cup action, Division One’s leaders Chingford Celtic carried their form into the cups but were pushed all the way by Barking & Dagenham Wanderers, eventually taking their place in the quarter finals with a 2-1 win. Elliott Carter was on target for the visitors but goals for Desmond Heaney and Mark Marshall put Celtic into the quarter finals where they visit Barking. It was a goal-filled morning in the Premier Division with no less than twenty-four goals across the four fixtures. Lactico remain in second place and a point off of the leaders following a 2-1 win over Ainslie Wood in Walthamstow. Goals from Alex Armah and Abdul Adegbola were enough to edge the match after Eric Kelly netted once again for Wood. Repton Park found the back of the net on eight occasions as they cruised to an 8-2 win at the expense of Valentines United. Jesse Spearing bagged a hat-trick with Jayden Ambrose (2), George Pummell, George Smith and Jobe Ambrose completing the scoring and cancelling out United goals from Gregory Blake and Adam Lindsay. Also scoring eight were Warren United who returned to league action with a bang, securing their own 8-2 win with victory over Quality Control in Barkingside. James Peagram did what he does best by scoring a hat-trick with Bobby Wise’s double and goals for Luke Dodd, Jamie Lynes and Harry Carter rounding things off. Continuing some fine form that has seen a rapid rise to fourth in the table are Liberty Stars who have put a difficult start to the season well and truly behind them. Their latest success, a 1-0 win over high-flying Downs, was secured with a single goal from Vincent Kwarteng to take home the points. A Thomas Metcalfe hat-trick made it a day of double delight for Warren United as the reserves also netted eight goals in their win at Dagenham United. Keir Goldstein also scored twice with Connor Smith, Daniel Bryan and Alfie Soutar making the net bulge to complete an 8-0 rout. Barking kept their grip-hold on second place in the table with a narrow 2-1 win on Sunday against Emerson Park at Mayesbrook Park. Daniel Cook moved top of the division’s scoring charts with his two goals to carry the side to victory despite an Ellis Madden goal for the visitors. Waltham Athletic now have company at the top of Division Two with Westferry Elite completing a close 2-1 victory over Morfdown Elect to go level on points at the top but a couple of goals behind the leaders. Ricky Barwick’s rich vein in front of goal without the gloves on for Elect continued as he netted their only goal. Park Tavern remain very much in the hunt and could go top with their game in hand after they ran out 5-2 winners over Romford Galaxy in Dagenham. Sean Tormey was the man in the goals as he scored a hat-trick, outdoing regular scorer David Hornsby who managed just a double himself. Paul Cutts did his best for Galaxy but his brace proved not quite enough on the day. Another side on the rise are Docklands Albion who have momentum behind them after their latest victory, a 5-0 win at Lonsdale on Sunday. A goal apiece from Jake Kenneally, Ross McWilliams, Tashan Benjamin, Wilson Diogo and Samuel Uviebinene completing a comfortable victory for the east London side. E4 Rangers are another side who have shown they can mix it with the best after some impressive recent performances. Their latest win, a 2-0 scoreline, saw them beat fourth-placed London Fire Brigade with Mitchell-Christopher Edmonds and Stuart Griffiths on the scoresheet with the all-important goals. A four-goal performance from Upshire Reserves’ John Sapsford helped his side to record a 6-1 victory on the road on Sunday as they beat AC Milano Reserves to keep pace with Wanstead United at the top. Ross Paterson and Thomas Smith also found the back of the net to complete the scoring. Alliance United have moved up to third place after a 5-1 home win at the weekend against Ridgeway Rovers in Dagenham. Goals for Jimi Dean Shepherd, Kevin Davidson, Samuel Awoliyi, Joe Phillips and Nicky Hornsby completed a commanding victory. Rounding off the division’s action were Alpha and Fairlop Rangers with the former recording a comfortable 5-0 win against their opponents. Kai Haysman led the way for his side with a hat-trick with Ashley Godwin and Dominic Crichlon also scoring to complete the win and push their side up to sixth place in the table. Grey Area found sweet revenge on Sunday, turning around a defeat to Epping Forest Falcons just a week ago, to beat them 3-0 in the reverse fixture. Jack Malone, Jordan Rodway and Calli Barnard were the heroes with the crucial goals to help them record a fourth victory of the season and move fourth. Central Colts bagged a highly impressive victory of their own, beating Hornchurch Oakmont 3-2 at Westlands to climb to the nosebleed territory of fifth in the table. Luke Sawyer and George Terry both found the back of the net for Hornchurch but Kelvin Malcolm (2) and Curtis Taylor both scored for the visitors to record an important victory. Oak Royals have moved second in the table after a narrow win at the weekend over an improving Goresbrook side. Goresbrook goals from Liam Coney and William Cox gave their side hope but Royals’ strikes from Harry Goodman, Bill Gregory and Ryan Mitchell sent their team second but six points behind the leaders. In the London Junior Cup, Asianos Reserves saw their participation ended for the season as they went down 7-2 to Highgate Albion Reserves on the road.